Our precious teas are no longer stored on historic floors in Hamburg's Speicherstadt, but in our modern warehouse complex in the Allermöhe district of Hamburg. 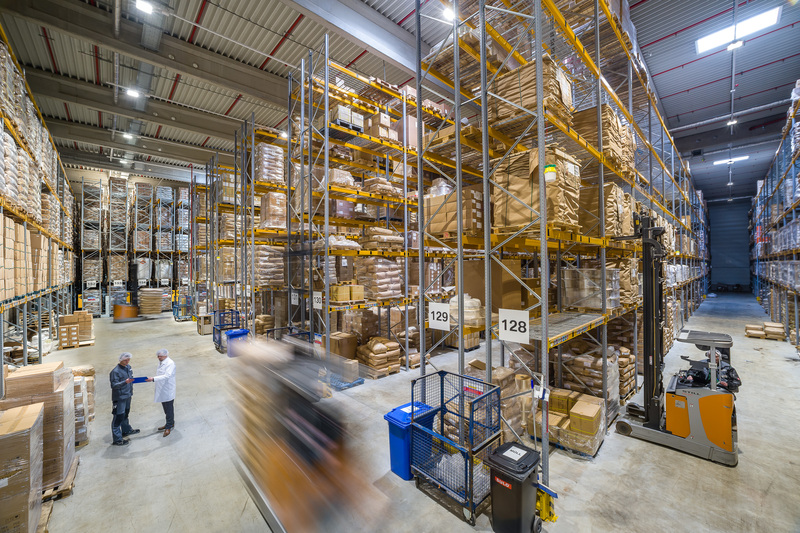 The high-rack areas with storage space for 30,000 pallets can accommodate up to 25,000 tons of goods, mostly choice tea grades and specialities from all the major exporting countries. The fact that we keep this exclusive variety in stock for our customers makes our warehouse the world’s largest warehouse for tea specialties and gives our customers the certainty that we can reliably supply even exceptional teas – largely irrespective of variations in the harvest. We not only offer the largest selection of teas, we actually have many of them in stock, on site. From here, our products go into all international markets. We have the status of an „Authorised Economic Operator”, a quality and safety seal awarded by the national Customs administration identifying us as especially reliable and trustworthy. 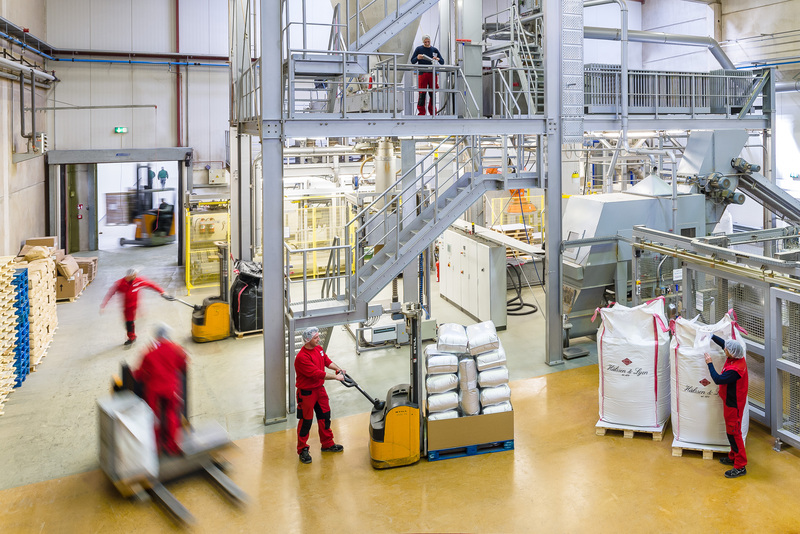 Our subsidiary’s warehouse in Thuringia is where we store the herbal and fruit components that we use as mono-ingredients or for our diverse tea blends. Up to 5,000 tons of goods can be kept in stock at this location. We didn’t rely on standard technical equipment for our production facility, either. We put our experience from 140 years of handling delicate tea leaves to use in developing and building our own facilities. To guarantee a high-quality product, we use effective cleaning equipment from the very first step in processing – such as colour and shape sorters – and take care to ensure especially product-friendly processing. Our state-of-the-art tea processing machinery includes computer-controlled silo blending plants designed to process the sensitive leaf teas with the utmost care and to produce perfectly homogeneous blends. Our experts are able to blend up to 150 tons of tea per day, working in several shifts. To flavour our tea creations, we use sophisticated methods that were introduced to the market by our pioneering tea experts in the 1960s and have been continuously developed since then. Our production plant in Thuringia processes the herbs, fruits and spices that are used in our large selection of colourful tea blends. This is where the raw materials are cleaned, cut and blended. Our food safety certification is based on the IFS (International Featured Standards Food, higher level) and HACCP standards. This enables us to meet the increasing requirements of customers and consumers.